Discussion in 'Squier Stratocasters' started by Tconroy, Feb 11, 2019.
today is national guitar day so pickup your guitar and play!! play all of them if you can! I have 1 in the shop right now but plan on picking the rest up and giving each a little playing time. Even the acoustics! Im glad today is my day off. Kenneth Mountain, mb doug, ElRey67 and 3 others like this. Kenneth Mountain, jjudas, Hotrodleroy and 2 others like this. Everyday is (Inter)National Guitar Day. Kenneth Mountain, VealCutlet and fadetoz like this. Kenneth Mountain and Caddy like this. man that guys making my neck hurt just watching him!! Kenneth Mountain, rorygman, Hotrodleroy and 2 others like this. Dimebag was crazy.. but crazy awesome on guitar. Kenneth Mountain, Hotrodleroy and Eddie like this. Kenneth Mountain and fadetoz like this. Funny thing is he used Randall Solid State amps. I know he was working with Krank tube amps near the end but most was all SS. But we're talking strictly metal tones. . I'm a Pantera fan. Can't you tell by my guitar tone Eddie? I've been chasing James Hetfield's tone for decades. I'm gonna try Dimebag's. Maybe time for a Randall. Kenneth Mountain and Loin Lover like this. Few things ever tempt me to put down my guitar. Yes, and to deny being of that species. From here on in I am a dog. IronSchef and ElRey67 like this. What?? How did I miss this? And what the hell am I doing here at work? Should be home playing all of mine. Stratlover84, Kenneth Mountain, Eddie and 1 other person like this. We all should have the day off. I'm actually surprised USPS didn't shut down for the day. They love to not deliver my mail usually. Kenneth Mountain, ElRey67 and Eddie like this. I put my ash Tele back together today and am playing it right now. I'm picking up an older Dean Avalanche MQ this evening for $40. This is one of the early Korean ones before they went to a Strat style headstock. Kenneth Mountain, Pat V., drewcp and 3 others like this. In a coincidental double NGD, I was going to meet a buyer for my Epi acoustic. Unfortunately, her NGD was postponed because of a 2-hour school delay (snow-ish) and her schedule was thrown out of whack. So the transaction will be on Wednesday instead. She is (or is buying for) a beginner. So I'll throw in a bunch of picks (brands I don't use), an extra set of strings, and a Reverb tuner that I bought when they were going for $2. Finally a "day" worth jammin' about. Well, I got a little caught up in the hype of the day, it seems. Just ordered this from a guy on Reverb. 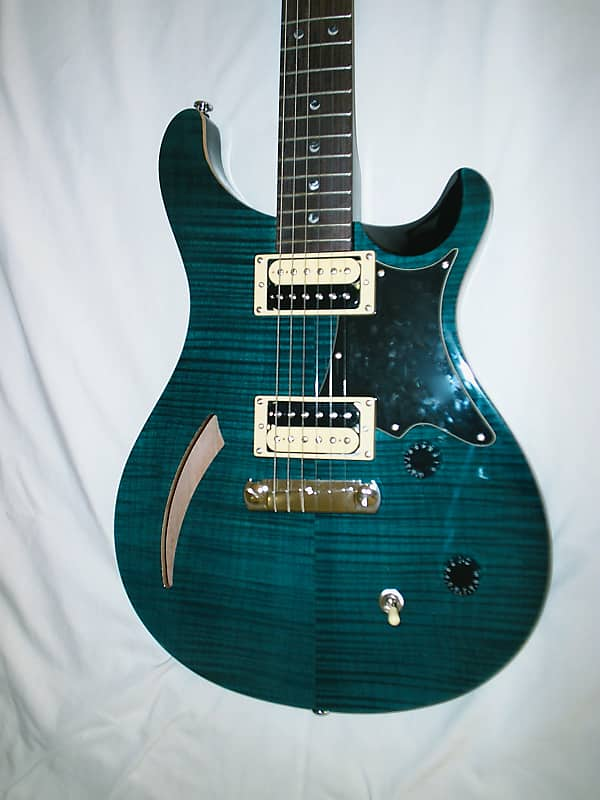 I'll sell my other (current) PRS SE when it gets here. Stratlover84, ElRey67, Kenneth Mountain and 3 others like this.